This call came in 2012. It was from one of Carl Nichols' old students, Anthony Gose. Gose had just got off the phone with his parents. Soon after, he was on the phone to Nichols: Gose had made the majors. 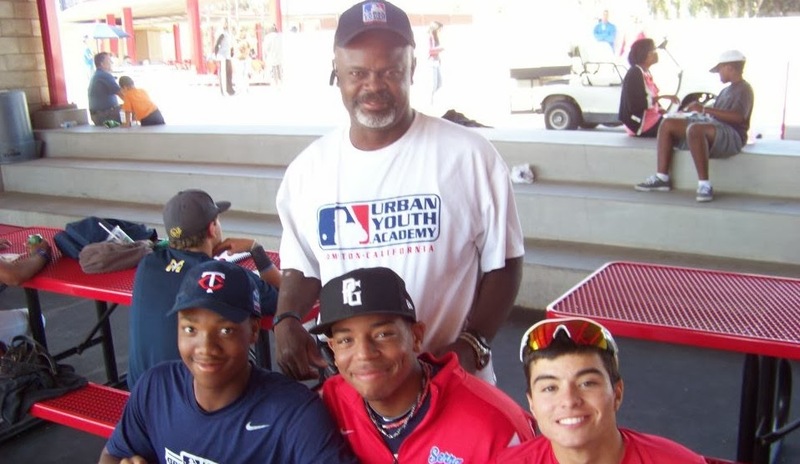 Nichols worked with the teenager Gose at Major League Baseball's Urban Youth Academy in Los Angeles. Gose was the first of Nichols' former players to make the majors. "It's great," Nichols said of his work as an instructor, "especially when you can share some of your experiences with them and it helps make their path a lot easier." Nichols' experiences spanned 17 professional seasons, six of those with time in the majors. His own first call to the bigs came 26 years before Gose's call. Nichols' came in 1986. Nichols spoke with The Greatest 21 Days recently by phone from his native Compton, Ca. Nichols talked about growing up in Compton the member of a large family, learning the game from his brothers. He also talked about his choice of the pros over college, and his early struggles in the minors that made him think he'd made the wrong decision. Nichols' own path to the majors started in 1980, taken by the Orioles in the fourth round of the draft out of Compton High School. It took him a few years, but he first made AA in 1985 with Charlotte. He was still just 23. Nichols moved up, he recalled, because it was soon going to be a minor league free agent. The team wanted to see what he could do. For Nichols, defense wasn't a problem. His offense, though, wasn't that great. Sometimes, one night came make the difference. Nichols had one of those nights with Charlotte in 1985. The catcher threw out a couple runners. He made some good plays on bunts. 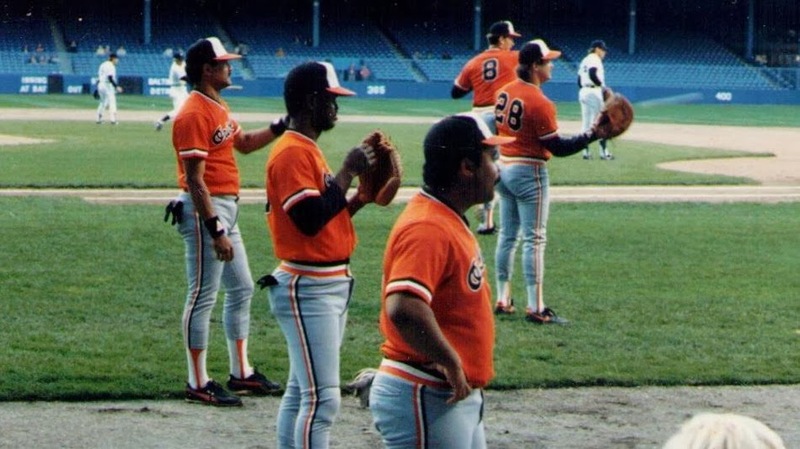 In the stands that night was Orioles general manager Hank Peters. "I didn't even know he was there," Nichols said. "I just happened to put on a good show defensively that game." Peters remembered Nichols that off-season when filling out the 40-man roster. Nichols was on it. "I was excited," Nichols said. 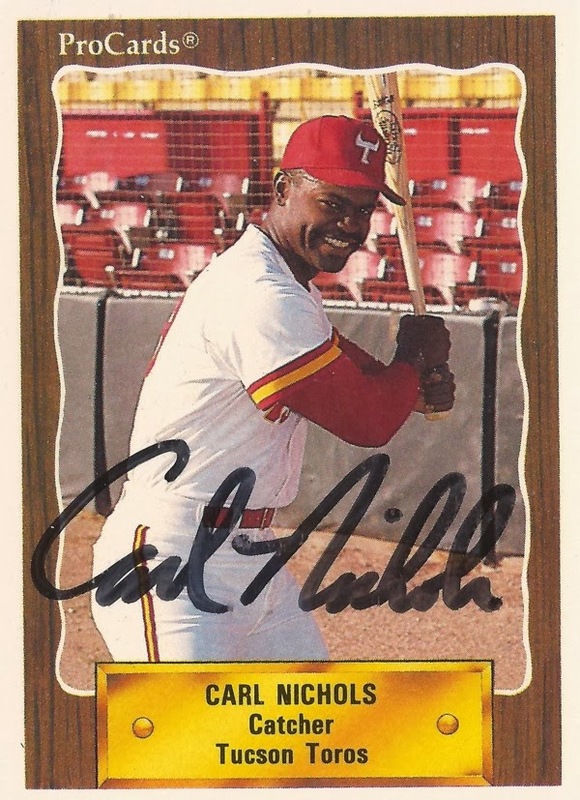 After another season in Charlotte, Nichols made Baltimore as a September 1986 call-up. He got into five games for the Orioles that September, five at bats. He didn't get a hit. Instead, he spent his time watching and learning. 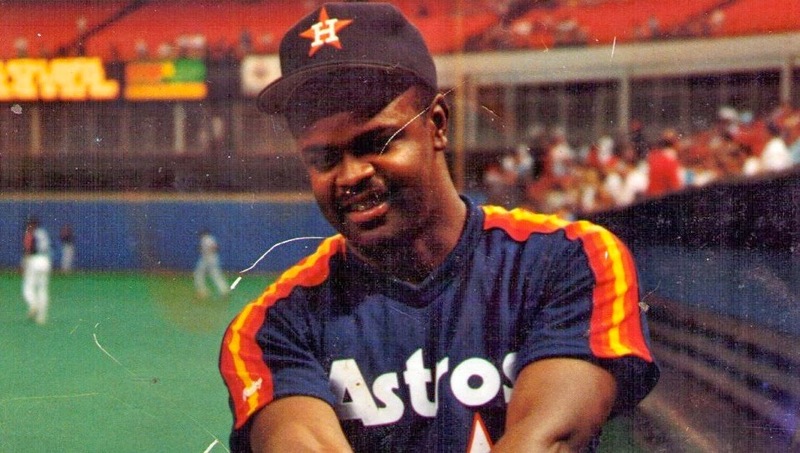 He played 1987 at AAA Rochester, getting another call-up that September. "I was just trying to make progress," Nichols said of his work that year. On Sept. 15, Nichols recorded his first major league hit. It came on an 0-2 forkball from the Blue Jays' Tom Henke, Nichols recalled. "It made me feel good," Nichols said of that first hit. "It made me feel like I was ready to stick. It was exciting." Nichols ended up getting a total of eight hits in 21 at bats that September. His first RBI came Sept. 18 against Bruce Hurst. He picked up three hits against the Yankees Sept. 27. When he returned to Baltimore in 1988, he couldn't continue that pace. He started the year with the team, but by May 8, he was hitting just .188. The team needed offense, so Nichols was sent off to Rochester. The next spring, he was sent off to Houston. But, with the Astros already having a catcher in Craig Biggio, Nichols' major league playing time continued to be limited. With that, Nichols took to pinch-hitting. "It turned out I was pretty good at it," Nichols said of pinch-hitting. "I got a couple game-winning hits. I thought that alone would have kept me around longer than it did." One of those pinch-hit game-winners came Sept. 20 against the eventual world champion Reds. The bases loaded, the Astros down 2-1, Nichols knocked a single to left. "He was a fastball pitcher," Nichols said. "So, first pitch - it was either going to be a hit or it was going to be an out." Nichols' final major league time came in 1991. He got into 20 games, but hit just .196. When nobody picked him up for 1992, Nichols moved on. The former major leaguer worked at a magazine printer and delivered newspapers. Nichols then got a call from an executive from the Sioux Falls Canaries in the new independent Northern League. Did Nichols want to come play baseball again? "I think I said 'yes' before he finished asking me," Nichols said. Nichols played the next five years in independent ball. Nichols recalled spending the first year trying to beg back into affiliated ball. Then he realized that likely wasn't going to happen. With that realization, Nichols said, he could just play. "The next couple years I was just playing for fun," Nichols said. "It was probably the most fun I had playing my whole career. The pressure was off and I was able to just go out there and have fun." Nichols played for Sioux Falls in 1993 and 1994, then Sioux City and manager Ed Nottle in 1996. Nottle, Nichols recalled, was fun to play for. "He kept things loose and made sure everyone had fun." He played his final two years closer to home, for Reno and then Mission Viejo of the Western League. When playing started to seem more like a job, Nichols knew it was time to retire. Back in the real world, Nichols worked various jobs, including driving limos. 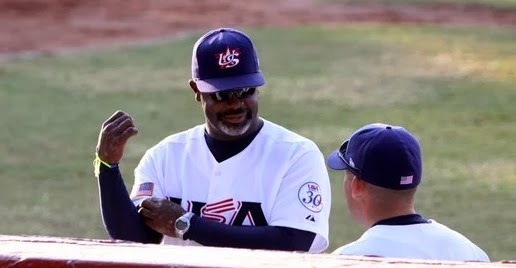 Then, in 2006, Major League Baseball opened its Urban Youth Academy in Nichols' hometown of Compton. When the academy was going up, Nichols stopped in, submitted his resume and they hired him. He then started work helping get youth from Compton and elsewhere involved and stay involved in the game. Nichols stayed with the academy through 2012. 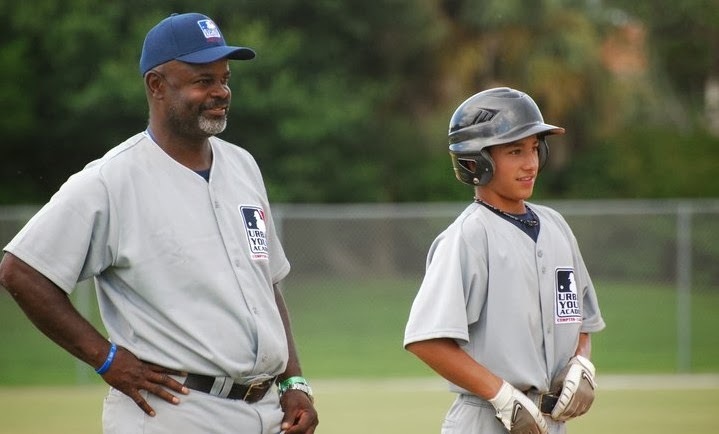 He is now working to start his own not-for-profit, the Carl Nichols Baseball Academy. His goal is to help young players from his hometown and elsewhere who can't afford it get into travel ball and get academic assistance. Several of the kids Nichols worked with are now working their way through the minors and, like Gose, are making the majors. Nichols has also worked with others, including 2013 Minnesota Twin Aaron Hicks and 11th-overall pick in 2013 Dominic Smith. "I learned a lot doing that, not only about the kids, but about myself," Nichols said. "A lot of the things that happened in my career, I was able to share with the kids to help them avoid some of the pitfalls that I had to go through."